The crew over at American Contractors in Iraq and Afghanistan wanted us to let you know that their website has been compromised and they are working to get all pages up and running ASAP. ISLAMABAD, Pakistan, Sept. 30 (UPI) — A NATO supply truck was blocked from entering Afghanistan after Pakistani officials said a NATO airstrike killed three soldiers, the military said Thursday. A senior military official said the action was to protest Thursday’s airstrike and other recent military actions in Pakistan, The Washington Post reported. Pakistani leaders said they believe the strikes were carried out to force the Pakistani army to conduct operations against al-Qaida and Afghan insurgents based in the mountainous tribal area of North Waziristan, the official said. “There is no justification for these attacks and they must come to an end with immediate effect,” the military official said. A security official said the NATO airstrike early Thursday hit a border post in Khurram Agency in Pakistan-Afghanistan border region, killing three soldiers and wounding three others. Pakistani leaders Monday protested what they said were NATO helicopters using Pakistani airspace to attack insurgents inside the country, saying it violated the U.N. mandate requiring coalition forces in Afghanistan end their operations at the border, the Post reported. NATO said helicopter strikes killed more than 30 militants inside Pakistan after Afghan forces were attacked from the Pakistani side of the border. Linda Norgrove, 36, from Lewis in the Western Isles of Scotland, was employed by US aid group DAI. She was seized with three local staff on 26 September. Their two-car convoy was ambushed in the eastern province of Kunar. Ms Norgrove was killed by her captors on Friday during a rescue mission by US forces. The Briton is believed to have been taken by her captors from village to village as British, Afghan and other intelligence agencies worked in the remote and mountainous area of Kunar province to locate her. Both the prime minister and Foreign Secretary William Hague were kept fully informed and British approval was given for a rescue mission to be mounted on Friday night, involving US forces with British officials offering advice. In a statement, Mr Hague said the aid worker was “killed at the hands of her captors in the course of a rescue attempt”. He said: “Working with our allies we received information about where Linda was being held and we decided that, given the danger she was facing, her best chance of safe release was to act on that information. A British aid worker who was abducted in Afghanistan last month has been killed by her captors. Linda Norgrove died during an attempt by US special forces to rescue her. 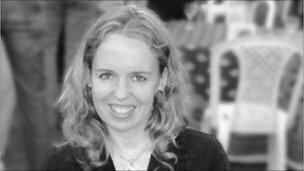 She was 36 and from the Isle of Lewis in Scotland and was working in Afghanistan for the American aid group, DAI. Foreign Secretary William Hague said everything possible was done to rescue to Ms Norgrove. Will update with details as reports are confirmed. The Foreign Office is investigating the disappearance of a British national in Afghanistan. She was working for an American contractor when the convoy she was travelling in was intercepted by militants. LONDON — Britain’s Foreign Office says it is investigating reports that a U.K. citizen has disappeared in Afghanistan. The ministry confirmed that a Briton is missing, but declined to provide further details or specify the region where the person had disappeared. Britain’s Sky News television reported the person involved was a British woman working for a U.S. company. The channel claimed the woman may have been kidnapped after a convoy of two vehicles was ambushed in the eastern Kunar province. The Foreign Office said it could not confirm reports about the nature of the incident. Afghan media reported that the Briton was employed by Development Alternatives Inc (DAI) an American aid contracting firm. The attack happened on Sunday morning in eastern Kunar province as the aid workers were travelling in two vehicles from Asadabadm the provincial capital, to Jalalabad. Suspected insurgents stopped them in the Spin Jumaat area of Sawakai district at 11am local time, said Gen Abdus Saboor Allahyar, the provincial police chief. He said DAI workers had not informed police of their journey. BAGHDAD – Three rockets targeting a security company were fired at Baghdad’s fortified Green Zone government and diplomatic enclave, wounding one foreign contractor, an Iraqi army source said. Police said two rockets were fired without giving any further details. Thursday, Sept. 23, 2010 | 2:33 a.m.
Trial is set to begin Oct. 4 in a class-action lawsuit claiming Vision Airlines Inc. of North Las Vegas pocketed tens of millions of dollars of hazard pay that was due flight crews assigned to dangerous war-related missions in Iraq and Afghanistan. The trial was set after Chief U.S. District Judge for Nevada Roger Hunt on Sept. 15 denied motions by both sides to close the case based on their summary judgment motions. Hunt found there are disputed facts that a jury will have to sort out, making the case ineligible for closure on summary judgment motions. The trial will likely focus on two of the plaintiffs’ surviving claims, for unjust enrichment and conversion. The legal dispute erupted in January 2009 when attorneys for former Vision pilot Gerald Hester of Colleyville, Texas, filed suit in federal court in Las Vegas claiming Hester and some 300 other current and former employees hadn’t received extra pay for flying in and out of the war zones since 2005. The lawsuit said at least $21 million was due the flight crews. The lawsuit brought some unwanted attention to aspects of Vision’s business, including reports its aircraft were involved in CIA “rendition” flights in which alleged terror suspects may have been shuttled around the globe for undisclosed reasons. Locally, Vision is known for more mundane operations like Grand Canyon tour flights. A VALLEY man has been killed while working for a security firm out in Iraq. For eight years Karl Bowen, 30, of Abercwmboi, served in 2 Company 1st Battalion Welsh Guards, touring war-torn countries like Bosnia and Iraq. In 2007 he was discharged from the Army and began working in HR recruitment – but decided that life on ‘civvy street’ was not for him. Earlier this year he returned to Iraq to work for a close protection unit. He died in a freak road accident in Iraq on September 14. Tributes have flooded in describing Mr Bowen as a great father, a “legend”, and an outstanding friend and football player who was the life and soul of the party and lived life to the extreme. A father of two young girls, Elise, 11, and eight-year-old Lois, Mr Bowen had returned to Iraq just days before the car he was driving suffered a double blow out. He was killed instantly in the crash alongside an Iraqi interpreter and an American colleague was critically injured. His distraught mother Clare Bowen said: “He always said he would not live to see his 31st birthday. “Karl was never afraid to die, and he lived his life to the full. “He fitted so much into such a short time – he was very intelligent and an absolute party animal. He had hundreds of friends. The former Blaengwawr Comprehensive School pupil started his army career with the Welsh Guards in November 1999. His career took him to Bosnia on a peacekeeping mission in 2002 and again in 2006, and to Iraq in 2004 after qualifying as a sniper. In 2007 he left the army and worked as a recruitment consultant before joining a private security company, working in Iraq for seven months. Mr Bowen’s body has been flown to Kuwait while paperwork is completed. It is expected to be flown to Cardiff later this week so that his family can organise funeral arrangements. “The last few days have been an absolute mess for us – his younger brother Adam is in bits,” said his mother. Federal investigators were stymied in two separate probes to uncover corruption involving U.S. aid to Iraq, thanks to an Iraqi amnesty law that allowed the suspects to avoid justice. The Iraqi suspect in one case was at the center of a bid-rigging scandal tied to more than $750,000 in contracts to supply tents in the country’s Anbar province, according to newly released records. But after investigators obtained a confession, the suspect “was released due to an Iraqi amnesty program for those committing non-violent offenses prior to February 27, 2008,” according to a 2008 case memo by the office of inspector general for the U.S. Agency for International Development (USAID), an independent federal agency that doles out foreign aid. In the second case, also in 2008, the inspector general for USAID spent more than 18 months looking into accusations from a confidential source that a USAID contractor was taking kickbacks to foreign-owned subcontractors. The investigative reports were among 29 case summaries recently released by USAID‘s inspector general to The Washington Times through a Freedom of Information Act request. Though investigators uncovered evidence that an Iraqi national had fabricated invoices on the U.S.-taxpayer-funded contract for more than $25,000, the suspect wasn’t arrested. “Based on the nature of the offense involved in this investigation and consultation with Iraqi judicial and law enforcement authorities, the suspect … falls under the General Amnesty Law,” the USAID inspector general concluded in a case memo. Washington (CNN) — A new Defense Department report says many civilian contractors working in Kuwait didn’t have proper clearances and could have jeopardized the safety of U.S. military personnel and undermined national security. The Defense Department Inspector General said dozens of contractors worked in sensitive positions without security clearances or the official passes they needed. And some of those people, according to the report, were allowed to remain on the job even after inspectors uncovered the security problems. The report says a company called Combat Support Associates (CSA) was awarded the contract in 1999 for what was called Combat Support Services Contract-Kuwait (CSSC-K). The contract was extended and is due to expire at the end of September after costing the government more than $3.3 billion dollars. “CSSC-K contractor employees occupied sensitive positions such as force protection officers, system administrators, and supply inspectors in Kuwait without obtaining security clearances,” the report says. Recent data show that more contractors were killed in Iraq and Afghanistan than U.S. troops during the first six months of 2010, according to a George Washington University law professor. “Contractors supporting the war effort today are losing more lives than the U.S. military waging these wars,” wrote Steven L. Schooner, co-director of the Government Procurement Law Program at The George Washington Law School, and Collin D. Swan, a student there. Their article appeared in the September issue of Service Contractor magazine, a quarterly publication of the Professional Services Council, an industry group. The data show that in the first half of 2010, contractor fatalities in Afghanistan for the first time exceeded troop fatalities — 232 and 195, respectively. Contractor deaths in Iraq surpassed military deaths there beginning in 2009. 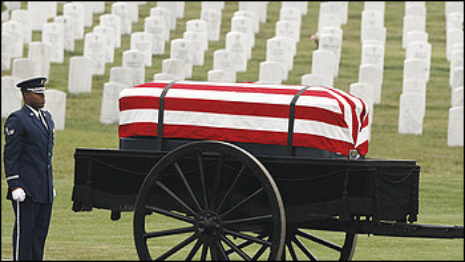 Between January 2009 and June 2010, there were 204 contractor deaths and 188 troop deaths in Iraq. Since the wars began in 2001, 5,531 U.S. troops and 2,008 contractors have died in Iraq and Afghanistan, in addition to 44 killed in Kuwait, many of whom were supporting missions in the war zones, the authors reported. “The actual number of contractor fatalities is probably higher than is currently known,” Schooner and Swan wrote. Until 2008, the government’s efforts to track contractors operating in the war zones were negligible. Congress, in the 2008 National Defense Authorization Act, ordered the Defense and State departments and the U.S. Agency for International Development to begin doing so, and Defense established a database to collect information on deployed contractors, including casualties. But in November 2009, the Government Accountability Office reported that the effort fell short of statutory requirements and failed to give agencies accurate contractor figures, or sufficient information to oversee contractor operations. According to Schooner and Swan, a Labor Department database that tracks contractor injuries and deaths based on insurance claims submitted under the 1941 Defense Base Act provides the most reliable information on contractor fatalities and injuries. But that data includes a contractor’s death only if the family or employer seeks insurance compensation. Contractor deaths are trending upward, as military reliance on them continues to grow. A July report by the Congressional Research Service found that Defense employs almost as many contractors as it has troops in Iraq, and over 30,000 more contractors than military personnel in Afghanistan. The number of contractors employed in Iraq and Afghanistan and the duration of their service make the current situation unique, the authors wrote. “Transparency in this regard is critical to any discussion of the costs and benefits, or our efforts in Iraq and Afghanistan. An accurate accounting is also important for the public — and Congress — to grasp both the level of the military’s reliance on contractors and the extent of these contractors’ sacrifices,” they said. In 2003, contractor deaths represented only 4 percent of all fatalities in Iraq and Afghanistan but jumped to 40 percent from 2008 to the second quarter of 2010. So far this year, more contractors have died in Iraq and Afghanistan than American soldiers. In fact, more than half of the U.S. casualties were contractors, according to a new report by analysts at the George Washington University Law School. The numbers are estimates, and the actual fatalities are probably higher. After just four months in Kabul, the chief of a new military unit charged with getting rid of corruption in military contracting for Afghanistan has been replaced. The NATO command says her departure is all part of a normal rotation. But her replacement is a relatively junior officer, raising questions about the military’s commitment to rooting out corruption in its own contract practices — right as the Obama administration rethinks how important anti-corruption efforts really are. A spokesman for the NATO command in Afghanistan, Major Joel Harper, said that Dussault wasn’t fired and only “planned on having the job for four months.” Her team’s performance of what she called “financial forensics” contributed to Petraeus’s revised guidelines on troop contracting, and she participated in Kabul press briefings during its roll-out last week, Harper added. According to the top brass in Afghanistan, Dussault didn’t under-perform. Washington Gas Energy Services, Herndon, Va., is being awarded a maximum $105,454,390 fixed-price with economic price adjustment contract for natural gas. Other locations of performance are Maryland, Virginia, Delaware and the District of Columbia. Using services are Army, Navy, Air Force and federal civilian agencies. The original proposal was Web-solicited with 29 responses. The date of performance completion is Sept. 30, 2012. The Defense Logistics Agency Energy, Fort Belvoir, Va., is the contracting activity (SPO600-10-D-7514). Colonial Energy, Inc., Fairfax, Va., is being awarded a maximum $48,844,533 fixed-price with economic price adjustment contract for natural gas. Other locations of performance are Connecticut, New Jersey, New York, North Carolina, and Pennsylvania. Using services are Army, Navy, Air Force and federal civilian agencies. The original proposal was Web-solicited with 29 responses. The date of performance completion is Sept. 30, 2012. The Defense Logistics Agency Energy, Fort Belvoir, Va., is the contracting activity (SPO600-10-D-7512). False Claims Act gag orders hide Iraq War costs and public safety information. Richmond, VA–Lawyers for the American Civil Liberties Union will present oral arguments in the Fourth Circuit Court of Appeals tomorrow in a lawsuit challenging the overreaching secrecy provisions of a federal whistleblower law that prevents the public from learning about serious allegations of fraud against the United States government. Complaints filed under the False Claims Act are automatically placed under seal and those who file them are gagged from speaking, keeping the complaints secret from the public for months and, in some cases, years. Such complaints include allegations of military contractor fraud during the Iraq War and warnings of ongoing threats to public health and safety. The ACLU and the ACLU of Virginia filed suit in U.S. District Court in Alexandria in January 2009 on behalf of themselves, the Government Accountability Project (GAP) and OMB Watch. The government filed a motion to dismiss, which was heard in June 2009. In August 2009, the district court granted the government’s motion. The ACLU then appealed to the Fourth Circuit. The case is ACLU v. Mukasey. Attorneys on the case are Chris Hansen and Ben Wizner of the ACLU and Rebecca Glenberg of the ACLU of Virginia. The ACLU’s appellate briefs are available at http://acluva.org/wp-content/uploads/2010/09/4th-circuit-opening-brief.pdf and http://acluva.org/wp-content/uploads/2010/09/Reply-Brief-for-Appellants-ACLU-v.-Holder-2010.2.9.pdf. The district court complaint is available at http://www.aclu.org/free-speech/aclu-et-al-v-mukasey-et-al-complaint. Nine NATO soldiers were killed in a helicopter crash Tuesday in Afghanistan. Nine NATO soldiers died in a helicopter crash Tuesday in Afghanistan, making 2010 officially the deadliest year of the nine-year Afghanistan war. That somber milestone comes as United States troops take over for British troops in Helmand – one of Afghanistan‘s most troubled southern provinces –amid an ongoing “surge” designed to bring anti-government Taliban militants to heel and shore up a fragile central government in Kabul. The Taliban took immediate responsibility for the deaths, but NATO said the cause of the crash was still under investigation, according to Agence France-Presse.